The Big Game shoot went well and we had 35 more shooters in comparison to last year. Our Fish Taco guy was back and everyone seemed pleased. Terry Lopez did his breakfast burritos and sold out. The only real problem we continue to have is picking up targets after the shoot. We now give a full work party credit for pickup and it only takes about 30 to 45 minutes max. If anybody has any ideas on what we can do to get people to help pickup, we need them badly. Maybe we are doing too many shoots and we are asking too much from the Membership so maybe we should cut back of couple shoots a year and we won’t need as much help. The new proposed By-Laws are done and will be out on the website soon. We will be sending out a notice and some explanations on some of the parts. Once it is out we encourage everyone to come to the meetings. It takes 2 meetings before we can vote on it. 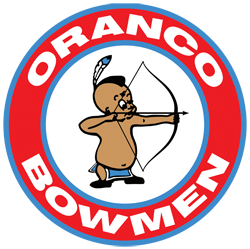 I hope Oranco has a huge presence at the CBH Broadhead. If you are going, I would encourage all members to wear their Oranco shirts so that everyone can see our support. We got a new shipment of shirts in so you can pick up a new shirt any Sunday at the club house. Our current Newsletter Editor is resigning and Oranco is looking for a replacement to take over the position. The processing of the Newsletter is not that difficult. It takes around three to four hours a month to process the information and get everything sent out. It involves compiling the Board Member Articles that are submitted on a monthly basis and getting them formatted into the Constant Contact program. Being computer literate would be a plus. 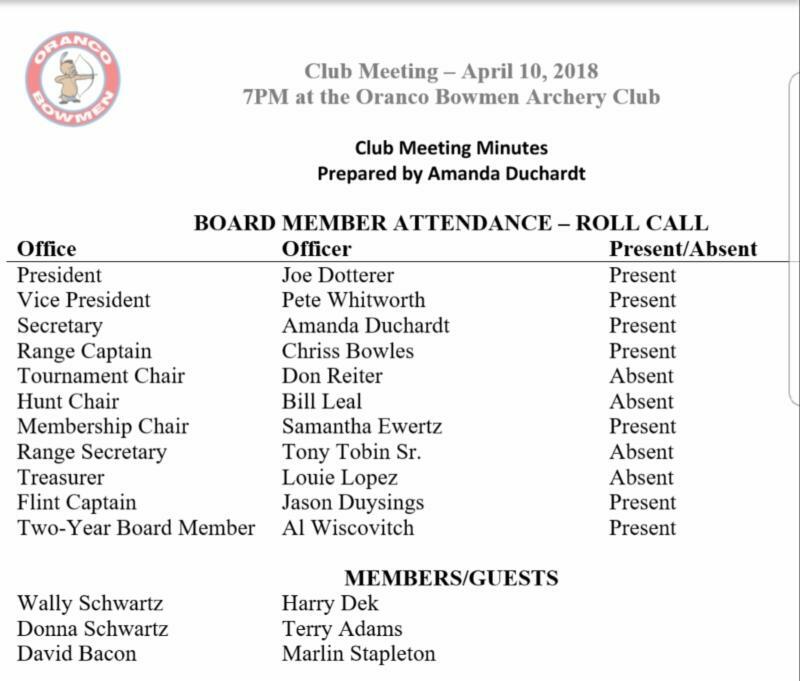 If you are interested please attend the May Club Meeting that will be held tomorrow, May 8th @ 7:00 pm at the Club House. Thank you. By the time most of you read this, I will have recovered from my surgery and am back to work. Thank you to all who kept me in their thoughts during that time. I’m looking forward to getting out and doing a lot more shooting. The Big Game shoot went smoothly, and everyone had a great time. I would like to thank all who supported the CBH Leg fund by purchasing an item from the table. Some of you might have noticed the hat with all pins I was wearing at the shoot. Since the 80’s, I’ve collected pins from the different ranges that I’ve visited. Back in the day, before T-shirts became popular, archers often bought club pins to show their support. Next time you go and visit a range for a shoot and you pick up that T-shirt, think about picking up a club pin and start a collection for yourself. As far as cook shacks go, I have been asked to take back the responsibility of assigning Volunteers. Volunteers will be on a first come basis. ONLY Text me to make sure I get the message, I cannot answer my cell phone at work. If you want to Volunteer, please text me at least 1 week before the scheduled shoot date. Motion: Approve March 13 th meeting minutes – APPROVED with edits. New Business #21: Jason – Received $2000 in target sponsors for Scalps and Skins. Will spend Spent half at Turners and half at Riverside Archery Scalps and Skins to purchase Scalps and Skins raffle prizes. Sponsor signs cost $120. 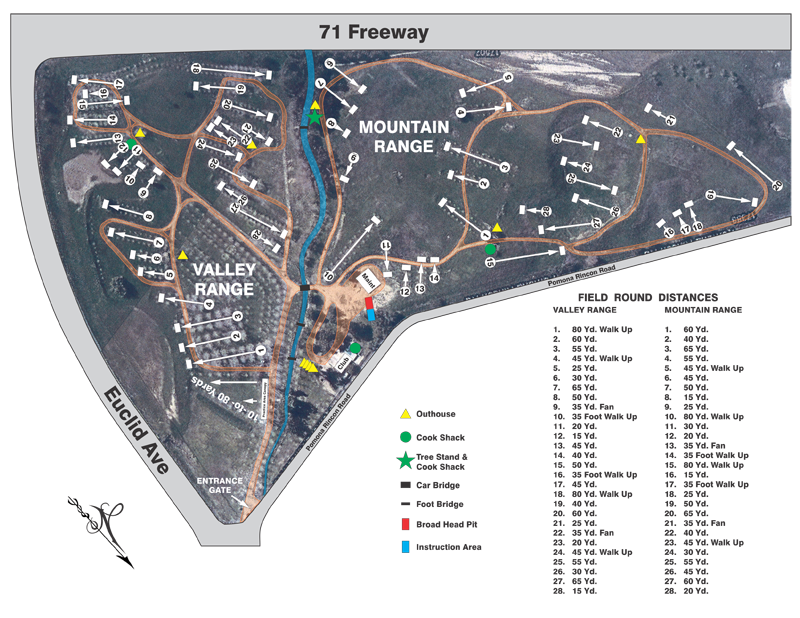 David suggested placing sponsor signs 3-4 feet in front of shooting stake versus near target. Welded 2 30-inch and 11 22-inch 3-D stands. Minor repairs needed on some after the shoot. Reorganized paper targets in target shed. Reordered some targets. Fence repairs completed - $3,600. 7 locations in all. Started mowing with Bill and Dave. Big blue tractor and other tractor batteries dead; batteries need to be replaced. 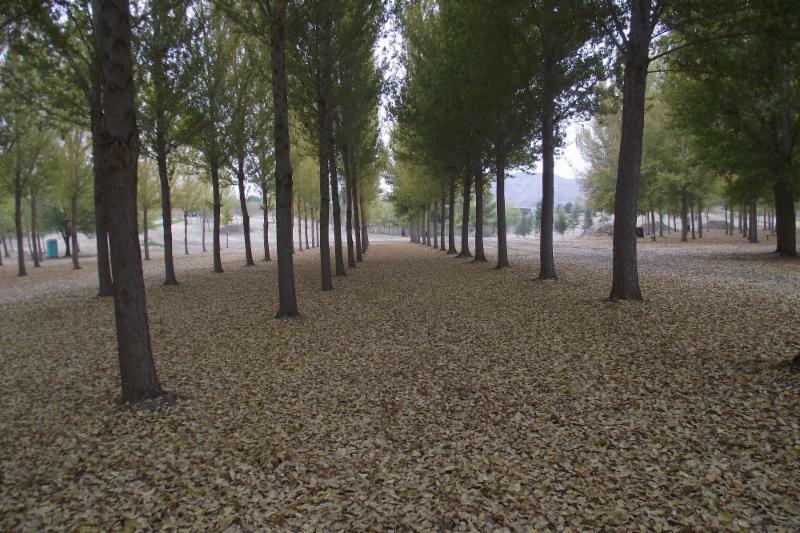 Graded dirt pile in front area after rain. Dug out 3-D pits 1-foot deeper to make them safer. Sprayer on quad fixed; works great. Kudos to Matt Burns and Phyllis Barker for picking up trash and cans after shoot. GREAT JOB. Never looked so good! Big Game shoot went well overall. 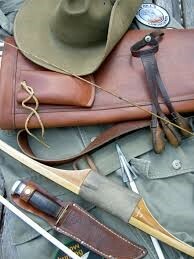 Some complaints about crooked targets and long shots especially for longbow shooters. Set up crew was very small and inexperienced. Need consistent help. Registration went great. Implemented Samantha’s suggestion to have shooters fill out score cards and registration cards. Can run registration smoothly with 3 people now. No one wanted to pick up targets after the shoot. Might have to tell folks to check the web and pick up awards next Sunday because the Board has to go pick up targets. Spoke to Bill Waltz about the Tomahawk shoot. Need to dig hole for the Tomahawk target in the bowl and print targets (approximately 44 x 28 inches each). Many agenda items discussed 3 time (board reports, old business, and new business). Please consider combining your reports to keep the meeting flowing smoothly and quickly. Will also help the meeting notes to be more clear and concise! Big Game Shoot - Only complaint about walking all the way down cardiac hill for 2 targets. Need to make calls for target assignments. Some folks looking for assignments, some assignments neglected. Current 466 members with more to add. Louie provided Treasurers Report for March 2017 via email. 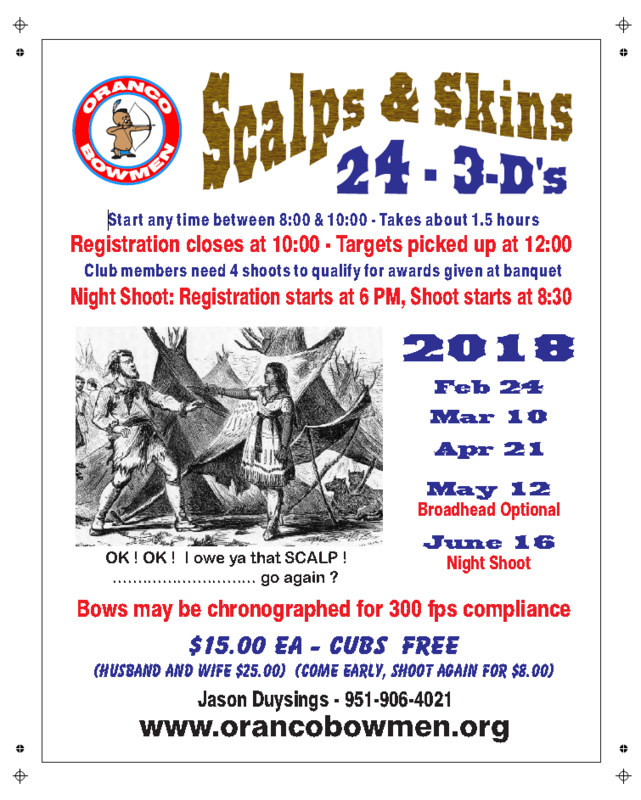 Scalps and Skins coming up April 28. Banquet was cheerful compared to morgue-like tone of previous banquets. Absolutely no disrespect to past and present management as I know how hard it is to put on any type of events. This banquet had a fun and positive atmosphere, cookout/hunter friendly. Been bragging/talking up the banquet to others. Opportunity to break bread together and build relationships. Meeting to finalize by-laws for member review and vote to be scheduled. Hard copies of surveys at front desk. Ask Sunday folks to compete a survey if they haven’t already. Put completed surveys in Secretary inbox. David – Oranco online store updates? Took pics but some need to be redone. From the Big Game Shoot: $655+ in mulligan and doe tag sales, CBH logo merchandise sales $345, plus $500 Oranco match = $1,500 donation to CBH legislative fund. Wally - May 12th Scalps and Skins is on same date as Cherry Valley shoot. Can Scalps and Skins be moved? Yes – Jason will move. Wally - Joe announced that whole target group would be disqualified if individual was caught drinking. No issue disqualifying individual drinking but disqualifying whole group is not fair because we can’t control others. Joe clarified reporting on open drinking versus someone hiding it and no one can tell. Al – consider posting signs on range about not drinking. Pete – are we asking folks to be snitches? Al – drinking on the range is a safety issue! Split opinion on whether individual or group should be disqualified: 6 group/6 individual. Board to take comments under advisement. Thoughts on current rule that whole group is disqualified if someone in the group is shooting w/o a scorecard/paying to shoot: 7 disqualify group/ 2 disqualify individual. Board to take comments under advisement. Joe - Tony Tobin will take over cook shack at tournament. Terry Lopez will be out in Bear Valley. Tony can get text messages at his house but cell reception is bad. Joe will update his contact info/preferences. John Dom email Joe about prorating dues through September/October because he is moving out of state. 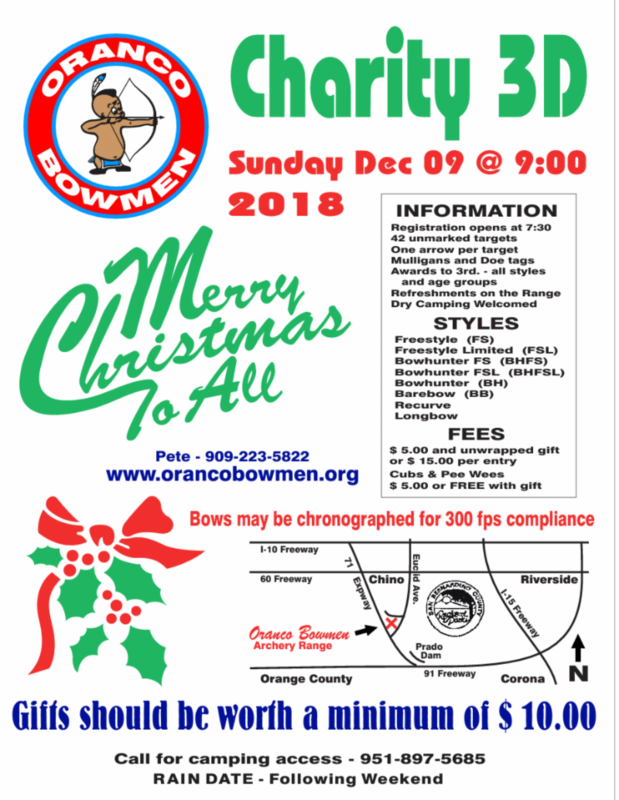 Joe contacted by Conejo Valley Archers asking for to help to cross promote events. 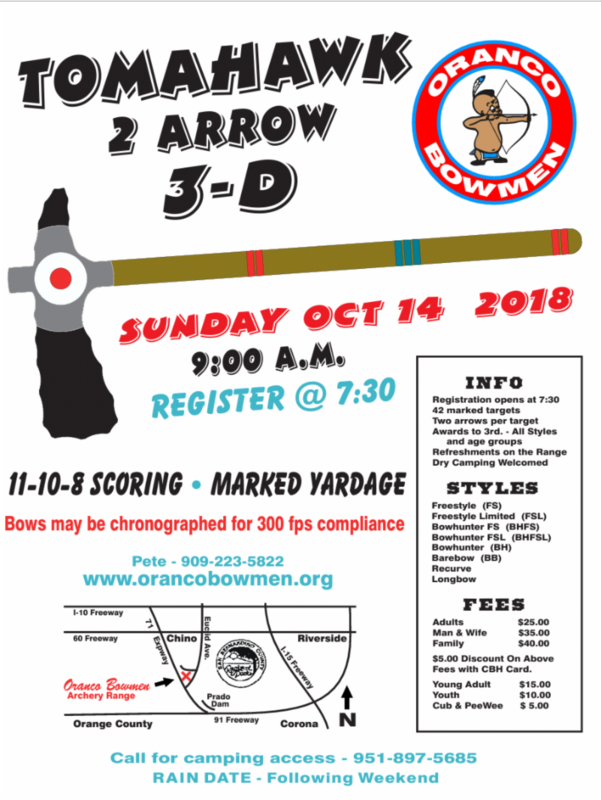 Conejo Valley Archers primarily traditional shooters only. Would be nice to have a place to hang flyers, etc. Putting flyers at the bottom of the monthly newsletter no big deal. No cost. Joe - Finishing cook shack stone and roof in the next few weeks. Wally – Where does Oranco bank and why not put some funds into a CD/Savings account? BofA because it’s convenient for folks handling the money. Fees are minimal for monthly checking and fees for too many cash deposits not excessive. Chriss – June 30 is the CRPA youth expo somewhere – Compton gun club? 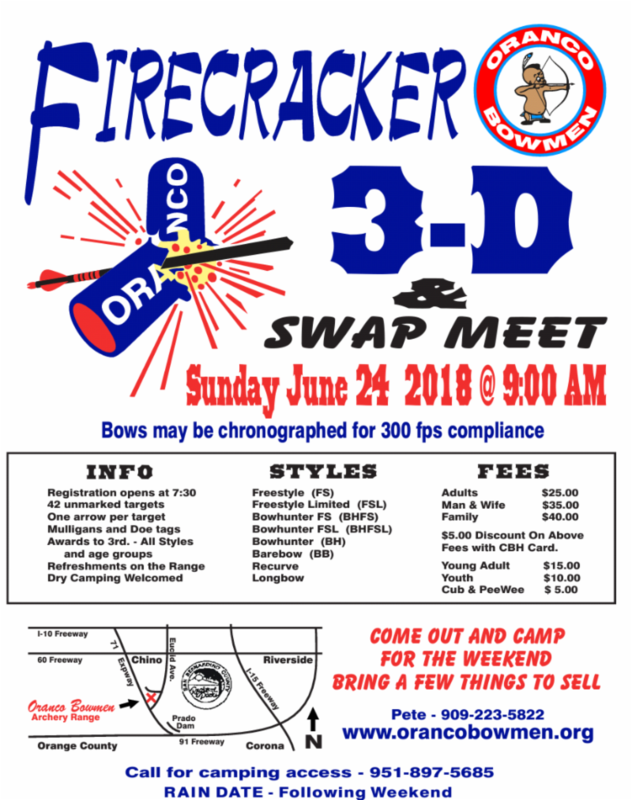 Would like help with archery. Need volunteers. Could also ask guys at Long Beach. Robert Moore (CBH) forwarded email with details. David will add info to the website/newsletter. Wally – Suggest starting target pickup while scores are calculated and calling folks back in for awards then finishing pick up after. More than one trailer would help pickup go faster. Anyone have a trailer to donate? Know of a cheap trailer for sale? People that stay after the shoot want to watch friends/family pick up awards. Thoughts about adding a money shoot to get folks to stick around and help with target pickups? By laws meeting Saturday April 14 at 4 pm. Dave to email Board Members. Amanda – needs coverage opening the range on May 27. Will email Tony or Bill. A successful taxidermist shows you exactly how to do it, step by step, by skinning a black bear. 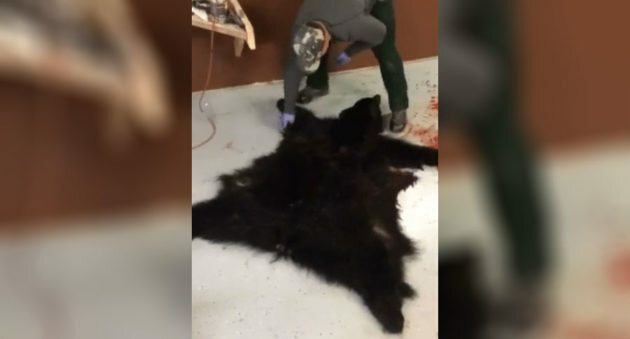 Mark Mitchell of Sunset Mountain Taxidermy shows precisely how to skin a bear to make a rug. The taxidermist from Fairbanks, Alaska, illustrates on a smaller black bear in this 22-minute video. The video utilizes fast motion to keep the video as brief as possible, but he periodically stops in order to explain potential problem areas, such as the foot pads This is as thorough of a presentation on how to properly skin a bear as you’ll find. 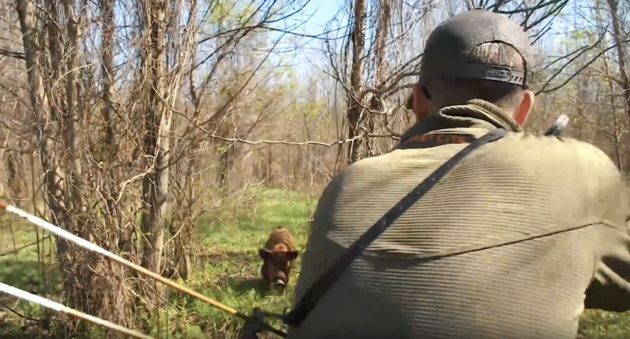 Clay Newcomb’s recent traditional archery hog hunt with hounds in Arkansas is pretty epic. To no one’s surprise, Bear Hunting Magazine Editor Clay Newcomb’s true passion is bear hunting . However, he can’t hunt bears all year long. Fortunately, there’s still plenty of good hunting near his home in Arkansas. Last month, he drove down to the southern portion of the state and had a really exciting traditional archery hog hunt.